All it took to get Steve Carell back on TV was a cast filled with movie stars. Vulture has confirmed that Carell has signed on to Reese Witherspoon and Jennifer Aniston’s morning news Apple TV show. 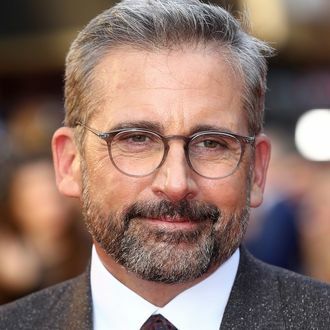 Carell will play Mitch Kessler, “a morning show anchor who is struggling to maintain relevance in a changing media landscape.” Shades of Michael Scott and Ron Burgundy (and, we guess, Harrison Ford in Morning Glory) abound. The show, which used Brian Stelter’s book about morning TV news Top of the Morning as a jumping-off point, “provides an inside look at the lives of the people who help America wake up in the morning, exploring the unique challenges faced by the women (and men) who carry out this daily televised ritual.” Mimi Leder will direct, while Kerry Ehrin will write the series.